Providing you the best range of slitting cutters, tct cutter, angle cutters and woodruff key slot cutters with effective & timely delivery. Our gamut of Slitting Cutters is used on CNC, conventional or special purpose machines of different capacities to machine metal, wood, plastic or any other material. These are developed in different thickness. 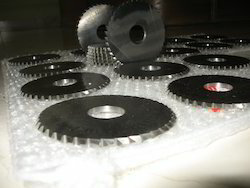 Slitting cutters are used for machining of thin slots ranging from 0.2mm to 6 mm. The different tooth profiles and number of teeth are made available to suit different machining conditions. With the comprehensive industry knowledge of allied domain, we are engaged in presenting a superior quality range of TCT Cutter. 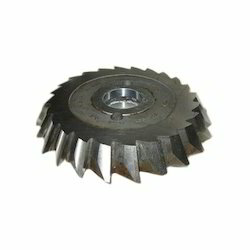 This cutter is used in various industry applications. The offered cutter is manufactured using stainless steel metal alloy and progressive technique. Furthermore, the cutter is tested on various quality parameters such as dimension, length, finish and fastening. Apart from this, clients can get the cutter from us at industry leading rates. We have emerged as a leading organization, engaged in offering superior quality Angle Cutters that are used in different industries for cutting applications. We manufacture these cutters by making use of high-grade raw material and high-end technology so as to maintain the set industry standards. To make a flawless dispatch from our end, our offered cutters are rigorously inspected by our quality inspectors against various parameters. These cutters are broadly acknowledged by our clients for their easy installation and sturdiness. 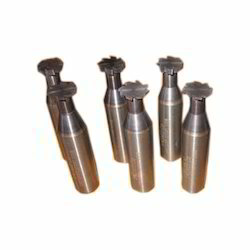 Owing to the expertise of our professionals, we have emerged as the foremost organization of an excellent quality array of Woodruff Key Slot Cutters. 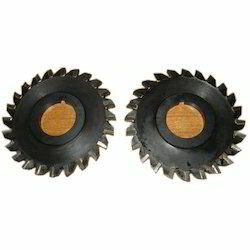 Being a quality-oriented organization, we assure our clients that these cutters are best in quality. Our skilled professionals only utilize fine quality raw material, while manufacturing the entire range of cutters. Mainly used for cutting wood, our offered cutters can be availed in a wide range of sizes and shapes, as per the requirements of our esteemed clients.